Learn about all of the biggest highlights of the upcoming TwitchCon 2018. Nothing brings together the senses of fun and community inherent to modern-day gaming like a good convention, and this year's TwitchCon 2018 looks to hit all the right marks. Taking place near the end of October, Twitch's signature gaming exposition is slated to feature some top-tier events from major names in the gaming industry. Keep reading to learn about all of the must-know dates, esports competitions, events, and activities planned for TwitchCon 2018. TwitchCon 2018 is nearly upon us. The fun is set to go live at the San Jose Convention Center in San Jose, California starting on Friday, October 26, and running all the way through October 28. Sponsored by Kakao Games, Legion by Lenovo, Intel Streamer Zone, and Twitch Prime, this year's TwitchCon 2018 exposition is playing host to loads of hot events and esports competitions, including the first TwitchCon appearance of Bethesda as well as the conclusion of the Fortnite Fall Skirmish, with a $10 million prize pool on the line. 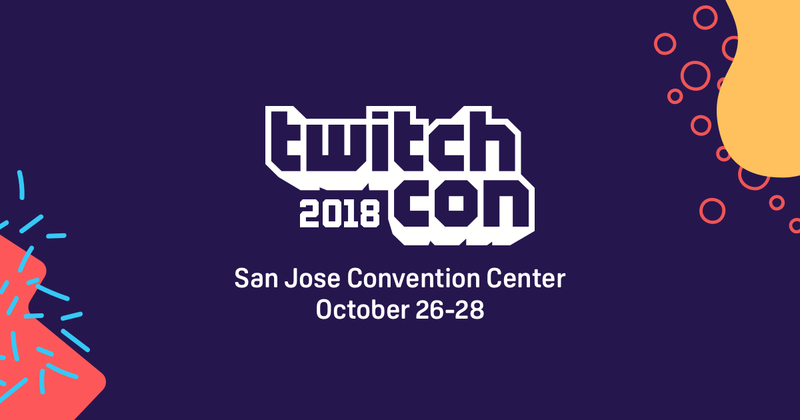 Here's a taste of some of the events, activities, and gaming competitions being hosted at TwitchCon 2018 as provided via press release. Broadcaster Royale: Omen Challenge – The biggest PlayerUnknown's Battlegrounds streamers go head-to-head in this new style of tournament presented by Omen by HP and Intel desktops and displays. Playing on Omen by HP desktops and displays, streamers must survive against the competition and a gauntlet of Omen challenges that require players to embrace risky strategies to win a piece of the $300,000 prize. The event takes place live across the street from the convention center at the City National Civic Theater, beginning at 1:30pm on October 26, 2018. Doritos Bowl – Doritos Bowl will feature Twitch’s biggest personalities competing in Call of Duty: Black Ops 4’s all-new battle royale mode — Blackout. Doritos Bowl team captains for this event will be Ninja, Shroud, CouRage and DrLupo. The event starts at 12:30 PM PST on Saturday, October 27 at the TwitchCon Esports Stage, presented by Doritos. Fortnite Fall Skirmish - Grand Final – On September 21, Epic Games kicked off a six week Fortnite Fall Skirmish series with a fun new club-based format. Over the course of the series, some of the world's top Fortnite players and influencers will compete against each other for a $10 million prize pool. The Grand Final will take place over three days at TwitchCon with an open and invitational tournament to determine the Fall Skirmish champions, while fans from home can watch online at twitch.tv/FortniteGame. Games Done Quick (GDQ) – GDQ makes its TwitchCon debut with GDQ Express, a 50-hour speedrunning marathon benefiting charities taking place in TwitchCon Charity Plaza. Sony Interactive Entertainment / PlayStation – PlayStation is heading to TwitchCon 2018 with the Road to Greatness truck – a new and improved gaming rig outfitted with PlayStation 4 Pro gaming stations and PlayStation VR demos. Attendees can stop by to go hands-on with unreleased games and compete for their chance to win prizes, swag, and more. Sega / Creative Assembly – Sega and Creative Assembly are coming to TwitchCon 2018 with the latest playable demos of Total War: Warhammer 2 and Total War: Three Kingdoms, including weekend-long live gameplay demonstrations of the latest content for the Total War series featuring the Creative Assembly team and your favorite streamers. Omen by HP – Located at the City National Civic Theater, attendees will be able to play PUBG to win prizes, as well as test out their latest PCs and accessories, such as the thin bezel Omen 15 Laptop with GeForce GTX graphics, the powerful new Omen Obelisk Desktop with up to GeForce RTX graphics, the optical-mechanical switch Omen Sequencer Keyboard and Omen Reactor Mouse, with the just-released Omen Mindframe Headset – the world’s first headset to have active cooling by way of their FrostCap technology. The booth’s shop will also feature the first ever drop of Omen apparel! City National Civic Theater – Beyond cheering on their favorite streamer in the Broadcaster Royale: Omen Challenge presented by Omen by HP and Intel, fans can get free PlayerUnknown's Battlegrounds merch, rub elbows at the bar with their favorite PUBG partners, play the game at the HP Omen booth, and battle friends in fun live activities, all while jamming out to a live DJ. 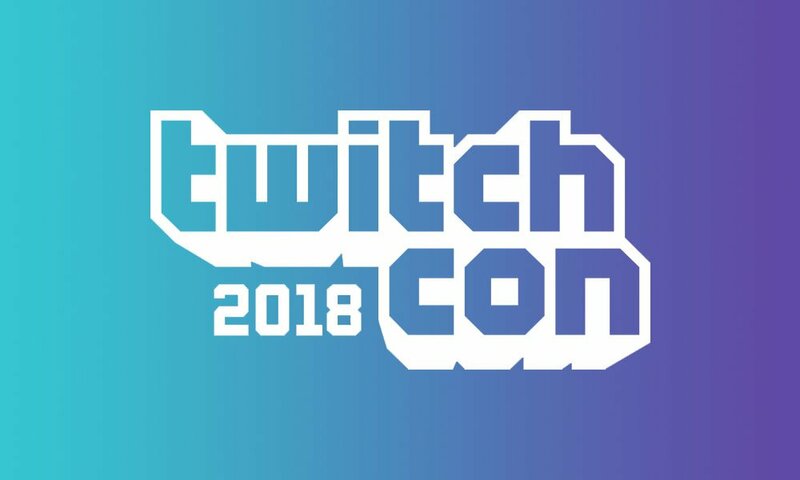 In addition to these recently revealed exhibition highlights, Twitch has also detailed new safety and security measures for TwitchCon 2018 — be sure to give this a read, as there are a number of specific highlights meant for potential attendees, including updated policies on cosplay weapons and required identification. More information on these policies, as well as a full schedule of events and activities, can be found over on the official TwitchCOn 2018 website.